When learning about SEO, you might be asking what are LSI keywords since it is really useful in the SEO process. Indeed, LSI keyword is one of the keys on successful SEO. This is why; you need to learn more about LSI keyword. This keyword is different from the main keyword used in your website. But it also plays similar role that is also as important as your main keyword. This is why; LSI keyword is also used on SEO process since it can affect various things in your website including your rank, traffics, user experience and many others. What are LSI Keywords and How it Can Increase Your Rank? When asking about what are LSI keywords, most people thinks that those are the synonym keywords but that is not correct. The LSI is not only synonym but also everything that is related semantically with your main keyword. And related words do not always synonym to the main keyword even though they have same context. For example, Google and gmail have some relation to each other, however they are not synonymous to one another. With new algorithm that google uses to decide a website rank, using LSI keyword will really helpful for you to improve everything. Since now google using the context of your content meaning they would be searching for LSI keyword inside your content. Using LSI will also prevent your content to be passing the density limit of the keyword which will give the content some penalty. This is why, it is great to put LSI inside your content as a safe way to improve your tank. 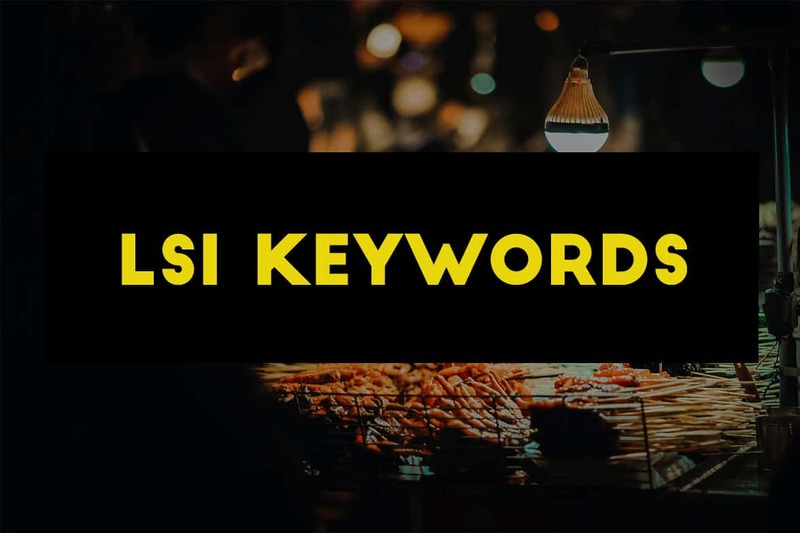 Now that you know what are LSI keywords, then it is time for you to try and find it so you can use it in your content. Actually, there are various research tools that can be used to find it. However, if you cannot access those tools since some of them are paid, then the easiest is to use Google. All you need to do is to put your main keyword in the search engine, then see the result. All of the bold words in the results are actually the LSI and sometimes on the bottom of the result you will get related search which is also the LSI. Once you find the LSI keywords then it is time to use them in your content. Try to put them spread around your content in natural wording. If the LSI is synonymous with the main keyword, then you can try to use them as replacement. Remember that similar with main keyword, you should also not to overstuff your content with LSI. Since it can make your content become over optimized and not natural. Use each LSI only once in your content which is enough to be recognized by google and would not be consider as keyword stuffing. Those are the things that you need to know when learning what are LSI keywords. Using these keywords can really help your content SEO and improve your rank.